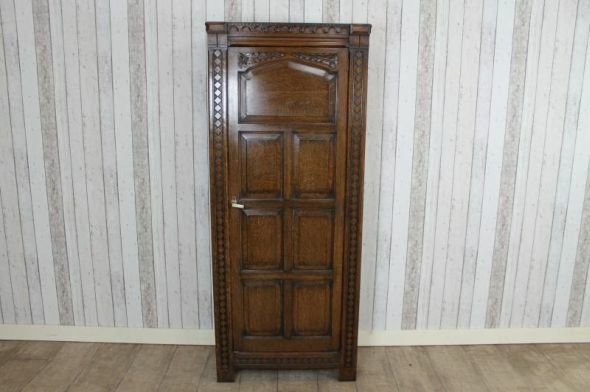 A beautifully carved circa 1920s small oak wardrobe or hall robe. Featuring a decoratively panelled and carved door, small internal mirror and single hanging rail, this piece is a compact size; ideal for any hallway or small bedroom. This small oak wardrobe is in lovely condition for its age. Unfortunately we no longer have the key for this piece, but it is still an extremely useful piece of furniture.